ISL Associates Ltd has a long established and proven track record in all aspects of residential developments. We have worked on many projects from individual prestige developments to the masterplanning of large scale housing developments. We contribute all required services from Aboricultrual Pre-Development Surveys & Implications Assessments to help in this establishment of the site layout, to Landscape Character Assessment to determine a sites potential for housing development within a sensitive area through to the design of LEAP’s, neighbourhood parks, screening belts and other Green Infrastructure and of course individual plot design. This site lay outside of the settlement boundary and had planning approval for light industrial usage. ISL Associates Ltd carried out a Landscaping & Visual Assessment of the site and successfully argued that a carefully considered residential scheme would not be out of context with the extant landscape character, and that with a carefully considered landscape mitigation scheme, would actually have positive landscape & visual impact compared to the permitted industrial scheme. The landscape mitigation scheme incorporated a board open space and structural planting to the most sensitive boundary and allowed for the creation of sustainable drainable systems and wildflower meadows to increase bio-diversity. Native trees and hedgerows were incorporated into the scheme to help further integrate the site into the landscapes. The Practice carried out a Landscape & Visual Assessment of a site on the edge of Countesthorpe, Leicestershire. 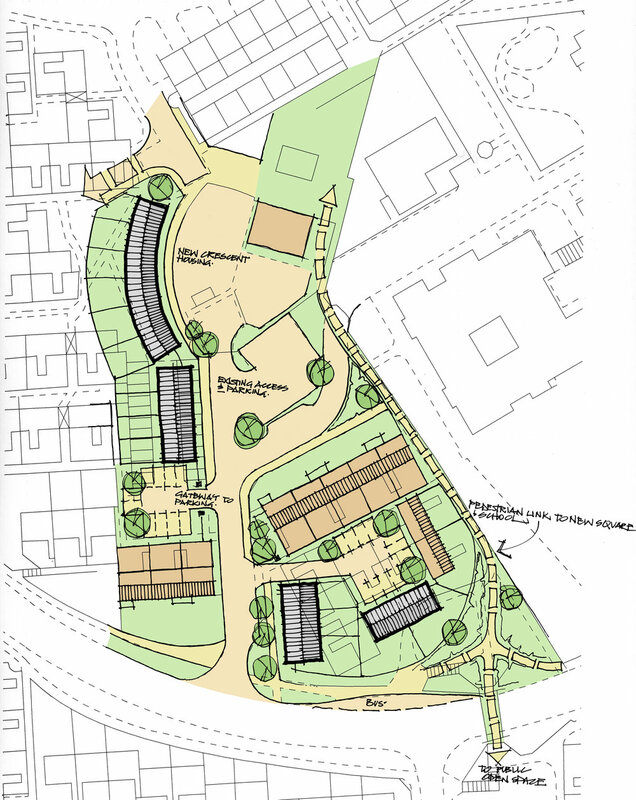 The assessment concluded that the development would have negligible impact on the adjacent countryside and that with the mitigation scheme a stronger, more defined edge would be created to the village in that locality. The Practice also provided an arboricultural survey and constraints plan to allow the retention of mature poplar trees within the development. 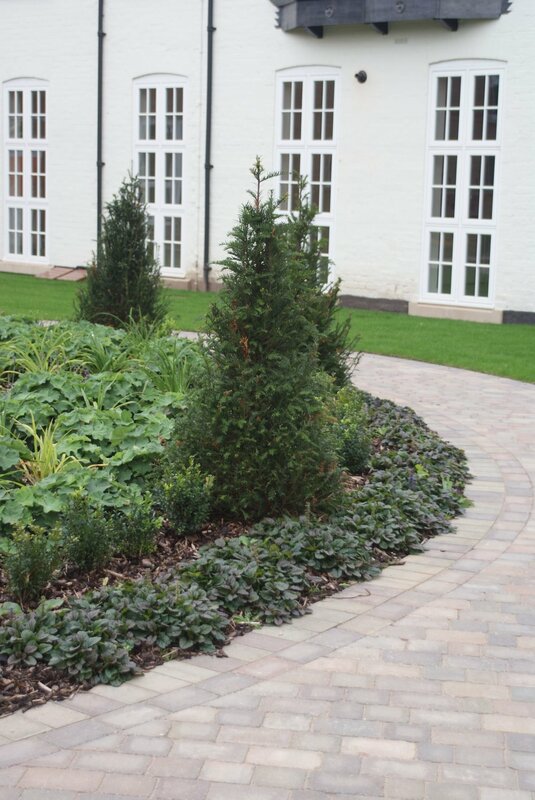 The Practice was involved with the detailed design of all hardworks and softworks, including on-plot planting design, open spaces and the site entrance feature. The Practice also designed feature walls to reflect the local character and add a sense of place to the development. The Practice in conjunction with a local architect assessed the issues relating to two urban estates in Nottingham. Both estates were modelled on "Radburn" principles and suffered from associated issues of disconnection and poorly defined, costly and vandalised infrastructure The Practice prepared a report for Nottingham City Council highlighting issues and proposing solutions which included radical remodelling of the estates.